In fact, human beings seem to be hardwired to react negatively to dissonance. In a study conducted by the Department of Psychology at Harvard, researchers revealed that infants as young as 4 months old recognize and actively reject musical dissonance as upsetting and undesirable. With this in mind, video game music composers can predictably induce the most negative emotions by using unnerving tone clusters. So, how do we put these dissonant intervals to the best use? Here’s an example, from of all things, SimAnimals — a cheerful and whimsical game from the famous Sims franchise. In SimAnimals, players are encouraged to nurture the natural world until they create an animal utopia… but sometimes bad things happen to good animals. The creepy version with the dissonant intervals and repeating clusters took a cheerful song about happy woodland creatures and made it a tense, suspenseful dirge. Now, let’s take that a step further. So this concludes part three of this five part series that expands on the materials I included in my GDC 2017 talk, “Homefront to God of War: Using Music to Build Suspense.” We’ll continue this discussion in part four of this article series, which will explore the ‘Drones of Dread’ technique. The article will also include an exploration of the use of Drones of Dread in my music for the God of War video game from Sony Computer Entertainment. In the meantime, please feel free to share your thoughts in the comments section below! 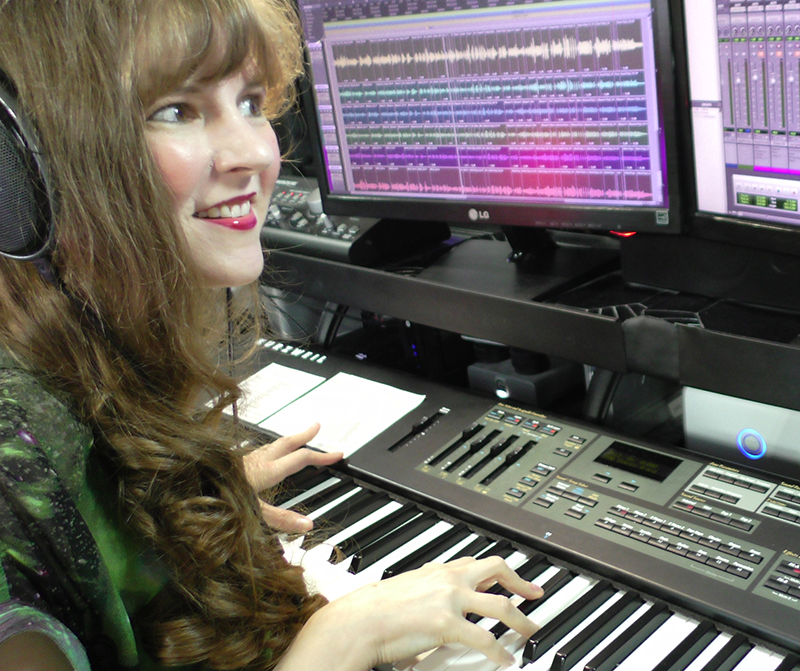 This entry was posted in Conferences, Music Composition, YouTube and tagged dissonance, game developers conference, GDC 2017, God of War, Harvard, Homefront, Northeastern University, SimAnimals, video game composer, video game music, video game music composer, Winifred Phillips. Bookmark the permalink. Thank you for another enjoyable installment of this series! May I ask which combinations of intervals do you like to use in your creepy clusters? Is it more just contextual, or do you have patterns you use often? Thanks, Grace! Great question! I tend to experiment with clusters and choose interesting combinations of intervals based on the context of each composition.